The true man attaches his heart to none but God. I desire not to desire. All Religions are vehicles and a path to God's Divine Presence. I never saw any lamp shining more brilliantly than the lamp of silence. "Poor wretch!" said Abu Yazid. "I have been seeking Abu Yazid for thirty years, and cannot find any trace or token of him. I went to a wilderness, love had rained and had covered earth, as feet penetrate snow, I found my feet covered with love. What have I to do with the window? When I am before you, I close my eyes to everything else. I have not come to stare about. I came out of Bayazid-ness as a snake from its skin. Then I looked. I saw that lover, Beloved, and love are one because in that state of unification all can be one. When Bayazid died, he was over seventy years old. Before he died, someone asked him his age. He said: I am four years old. For seventy years I was veiled. I got rid of my veils only four years ago. You will not be a mystic until you are like the earth-both the righteous and the sinner tread upon it-and until you are like the clouds-they shade all things-and until you are like the rain-it waters all things, whether it loves them or not. When you are separate from the Kaaba [the holy shrine in Mecca, the place all Muslims turn toward when they pray], it is all right to turn toward it, but those who are in it can turn toward any direction they wish. "What is best for a man on this path?" he was asked. "And if that is missing?" "And if that is lacking?" The first time I entered the Holy House,” said Bayazid, I saw the Holy House. The second time I entered it, I saw the Lord of the House. The third time I saw neither the House nor the Lord of the House. By this Bayazid meant, I became lost in God, so that I knew nothing. Had I seen at all, I would have been God. "Lord God, let me not be deluded by this. Let me not become self-satisfied with my own being, not to yearn for Thee. Better it is that Thou shouldst be mine without me, than that I should be my own without Thee. Better it is that I should speak to Thee through Thee, than that I should speak to myself without Thee." Whatever I was searching to find in my purification, mortification, striving, servitude I found in serving my mother. One night my mother woke up and asked me for a glass of water. I hurried to bring her some water. I searched around the house and there was no water in the container nor in the bucket. It was a cold night. I went outside to the spring to get some water. When I came back my mother was sleep. So I stayed beside her bed, with the glass of water. Near dawn she woke up and upon hearing the story she took the water, drunk, and prayed for me. In that morning, I found whatever I was looking for. Abu Yazid, what do you desire? Almighty God," said Abu Yazid, "admitted me to his presence in two thousand stations, and in every station He offered me a kingdom, but I declined it. God said to me, 'Abu Yazid, what do you desire?' I replied, 'I desire not to desire.'" "You walk on the water!" they said. "So does a piece of wood," Abu Yazid replied. "You fly in the air!" "You travel to the Kaaba in a single night!" 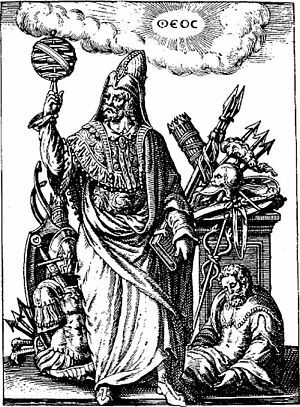 "Any conjurer travels from India to Demavand in a single night." "Then what is the proper task of true men?" they asked. "The true man attaches his heart to none but God," he replied. "When God recognized my sincerity, the first grace that He accorded me was that he removed the chaff of the self from before me." "What is the Throne?" Abu Yazid was asked. "It is I," he replied. "What is the Footstool?" "I." "What is the Tablet and the Pen?" "I." "God has servants the like of Abraham and Moses and Jesus." "All are I." "God has servants the like of Gabriel and Michael and Seraphiel." "All are I." The man was silent. "Whoever has become effaced in God," said Abu Yazid, "and has attained the Reality of all that is, all is God." 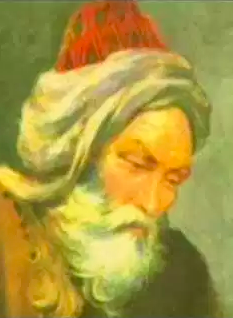 Bayazid Bastami was a very influential Persian Sufi mystic who lived during the 9th century. He is highly revered in the Sufi tradition of Islam as he was one of the saints recorded in Attar's comprehensive biographical volumes.